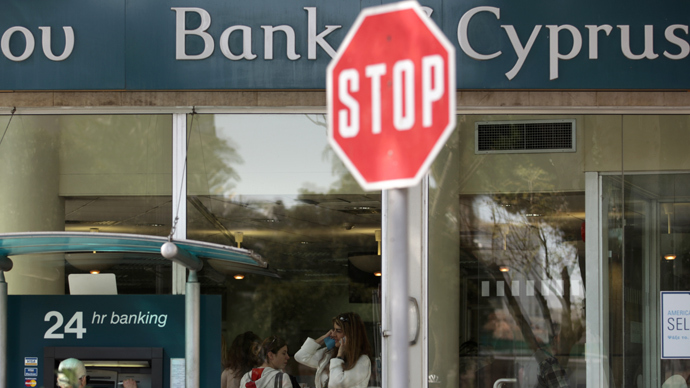 Private deposits in Cypriot banks fell by 3.9 percent down to €44.6 billion in March, as Cyprus continues to ease restrictions on international money transfers. March is the ninth straight month deposits have declined. According to the European Central Bank data published on Friday, the figures don’t differentiate between money withdrawn before and after the strict ‘bail-in’ limits were imposed, which restricted significant flows of money- from ATM withdrawals to wire transfers. Cyprus introduced the restrictions last month, the first time in the eurozone’s 14 year history, in order to prevent a run of capital. 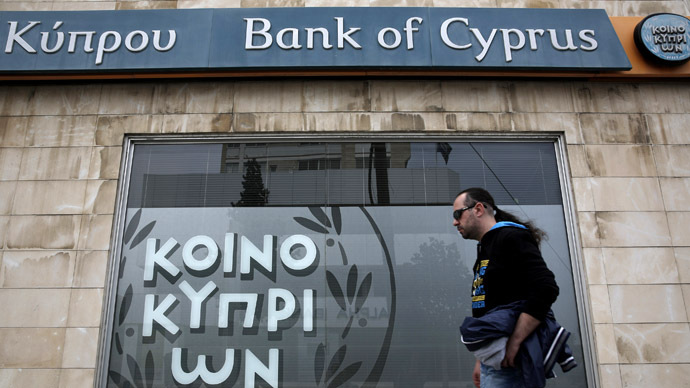 In February, the month before the rescue, Cypriot deposits decreased 2.2 percent to €46.4 billion In January, deposits fell to €47.4 billion. In this data is reflected the hundreds of companies with inside information that pulled out their money before the crisis. The ECB data shows capital is still flowing out, but only 2 percent more than pre-bailout conditions, suggesting the ‘bail-in’ scheme has succeeded in keeping deposits on the island, at least in the short term. According to the report, there are no signs of immediate ‘contagion’ among other ‘at risk’ euro banking systems, most of which have recorded increases in deposits since February. Ireland recorded a 6.5 percent jump to €210.1 billion, Greece had a 1 percent increase in deposits, up to €172.8 billion, and Slovenia, which has been thought could be the ‘next Cyprus’, saw a 2.7 percent rise in deposits. ECB Executive Board member Benoit Coeure said on Thursday there was no stress on bank deposits since the Cypriot bailout. 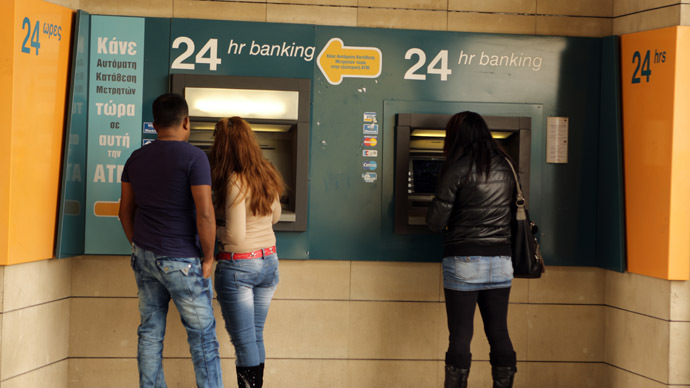 Cyprus significantly eased their restrictions on money transfers in and out of Cyprus on Thursday in an effort to help businesses and boost economic activity. The Finance Ministry said that it has raised the limit on business payments and money transfers abroad from €20,000 to €500,000. Businesses can also make domestic payments or transfers up to €300,000 for goods and services. The island’s banks shut down for nearly two weeks in March after the crisis hit. 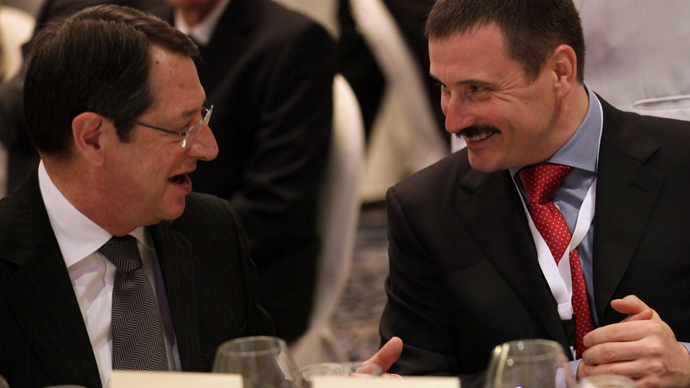 Cypriot officials followed Troika orders and imposed a levy on deposits over €100,000 in the country’s two largest banks. Capital controls are still in place, and officials have said restrictions will remain in place until confidence in the banks is fully restored.